A former gravel pit near Long Eaton could become a giant water park. The plans, put forward by a Mr and Mrs Hill, would see the former Trent Meadow gravel pit, off Pasture Lane, turned into the Spring Lakes Watersports Club. The 133-acre park would include wakeboarding, ramps, canoeing, kayaking, paddle-boarding, rowing boats, pedalos, scuba diving, raft building, swimming and inflatables. It has been tipped for approval by planning officers at Erewash Borough Council. A decision will be made by the authority’s planning committee on Wednesday, January 23. Two wakeboarding cables would be installed as part of the plans, to pull riders along and over the ramps. There would be separate cables for advanced riders and beginners. No jet skis or jet-powered boats are proposed as part of the scheme, due to the potential noise impact. Several new buildings would be built, along with a car park with 43 spaces, with additional spots for coaches. The buildings would include changing areas, showers, toilets, three classrooms, a shop, kitchen, cafe and an outdoor viewing platform overlooking the lake. It would have timber cladding and would be on stilts to address flooding issues and would be nine metres tall at its highest point. The building would be fully sustainable, with solar panels and by using a heat pump to extract heat from the lake and pull it into the building itself. Rain water would also be collected. In the northern corner of lake one, a floating inflatable aqua park is proposed. A play area would also be built close to the building along with a beach between it and the lake. The applicants state that 12 new full-time jobs will be created. From April until September, the park would open from 11am until 8pm Sunday through Thursday and 10am until 9pm on Fridays Saturdays and bank holidays. From October until March, the park would open from 11am until 5pm Monday to Sunday. Access to the site would be via Pasture Lane, not far from Long Eaton town centre. The three lakes on the site were formed in the 1990s as part of a restoration scheme following the completion of sand and gravel extraction operations which had been ongoing since the late 1960s. At the southern end of the applicant’s site is an area used by Trent Windsurfing Club. More than a dozen objection letters have been received by the council. 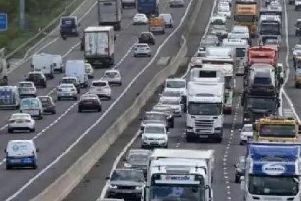 They raise fears over congestion, noise, air quality, anti-social behaviour and the impact on wildlife – particularly fish and birds. One opposing resident, a pilot, stated that disturbance on the site could cause large birds to fly off, into the path of planes from East Midlands Airport. Planning officers say that these birds would “accommodate to the activities”. Meanwhile, a Loughborough resident, who is an avid wakeboarder, national team snowboard coach and international official, says there is an urgent need for the facility. They said that there is a lack of facilities in the area since the Nottingham Wakepark closed and that “this local facility will provide affordable wakeboarding for the grassroots and elite”. The British Water Ski and Wakeboard club commented that the “proposed facility will be world class standard, a great asset to grassroots and elite channels of this sport as well as the surrounding community”. Meanwhile, the Nottingham University Wakeboard and Waterski Society states that there is local shortage of facilities and that the nearest full tow cable is in Sheffield. Uniwake (the national student body regulating university level wakeboarding) stated: “The sport is ceasing to operate due to high operating costs and low membership figures. Recommending the plans for approval, the borough council’s planning officers state: “Inevitably a building and associated car parking facilities in this undeveloped location will have an impact on the openness of the Green Belt. In this case, this impact will be compounded due to the currently undeveloped nature of the site, and the consequential open character.